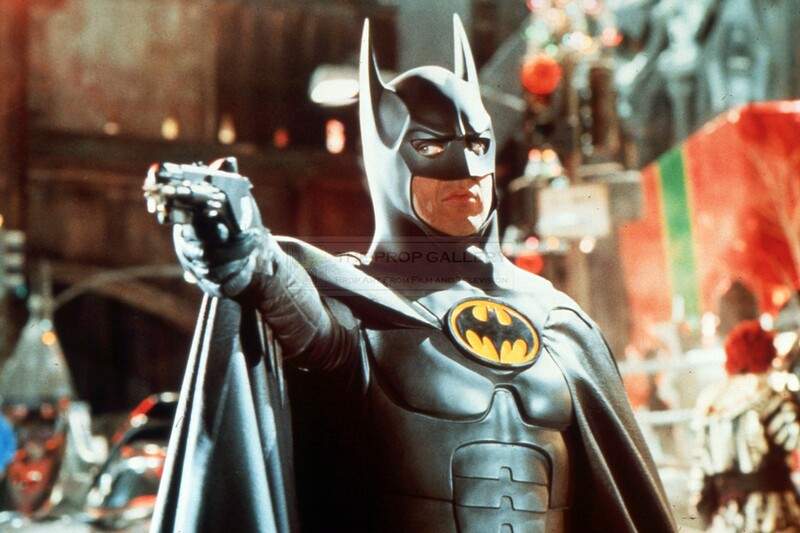 An original emblem used in the production of Batman Returns, the 1992 superhero sequel starring Michael Keaton as the caped crusader under the direction of Tim Burton. 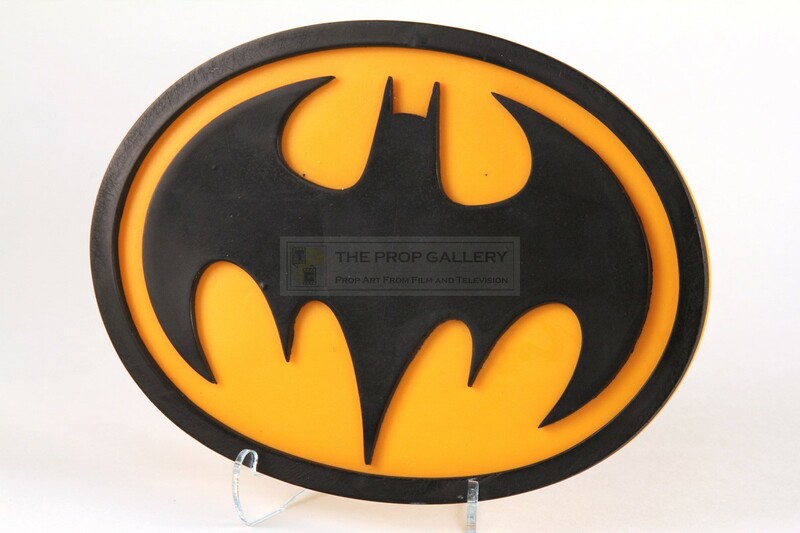 This is an original chest emblem created by the production for use as the focal part of the suit worn by Michael Keaton as Batman. 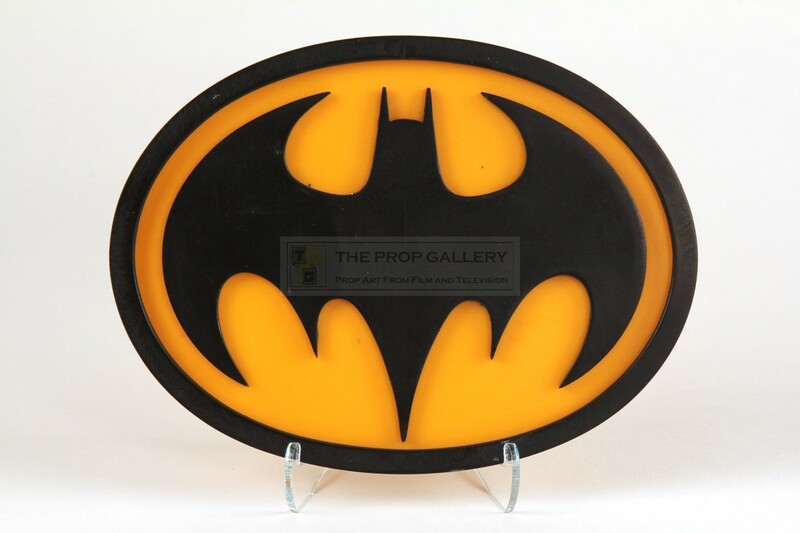 The emblem is constructed from two part cast resin in black and yellow and features the iconic bat symbol. 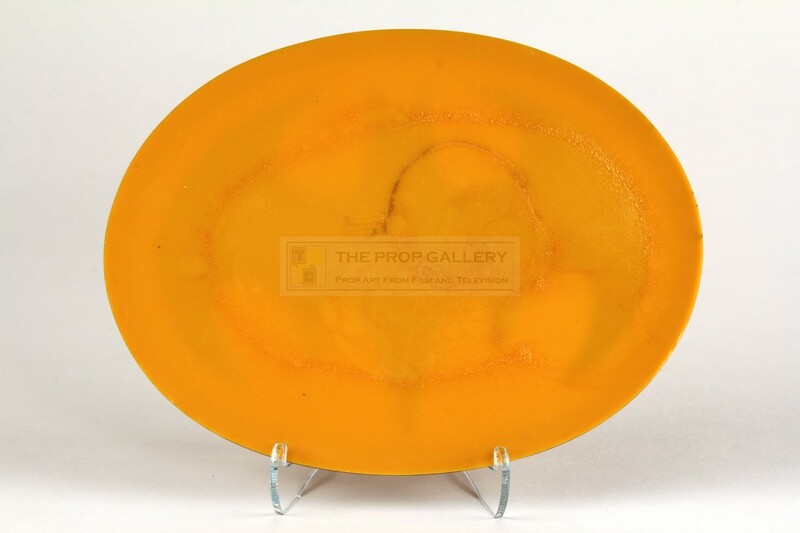 The emblem measures approximately 6" x 4.5" and remains in excellent production used condition, extremely fine. An instantly recognisable and highly displayable artefact from this classic of the superhero genre.